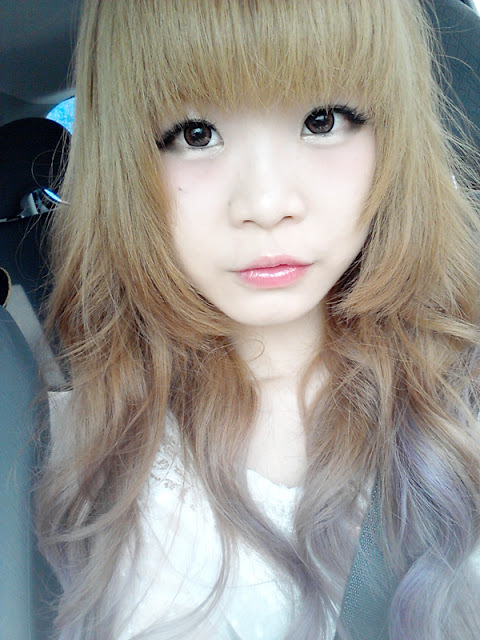 Now, I'm going to tell you one of my favorite liquid eyeliner beside Dolly wink! This is MSH Love Liner, high quality liquid eyeliner in Black. You need to open the box and open the box inside where the pencil placed. The design is look simple but cute! The color isn't sweet but it looks interesting! It has glossy coat on all surface. Unlike korean brand eyeliner, Japanese brand eyeliner usually comes in Pen-brush type and really easy to use! o(≧▽≦)o Totally in love with them! It's not felt type but brush type. Don't worry this eyeliner is just like DW/SANA/K-palette, the liquid will stay wet and I can use it for more than 6 months! LOL I swear XDDD. 0.1mm for precise drawing result! I love this so much, hahaha the thinner the better. What I like about extra sharp liquid liner is I can easily draw super thin like for natural make up. You can see I can easily draw thin line and write my name, lol. The color isn't super black like Dolly Wink though. This eyeliner suit for people who want to still look natural even wear an eyeliner. That's why they design it like this. If you like super black eyeliner, you better purchase Dolly Wink IMHO. Tested with water and rub it, the eyeliner consistency was quite good. It still stay on my hands. I guess everyone already know that my eyelid is oily and this eyeliner can stay on my eyelid for hours. After more than 8 hours it can smudge a little. Although the waterproof formula is really good, this eyeliner isn't hard to remove. Can easily remove with warm water! Typical japanese liquid eyeliner, lol. ☆ Where I get this? 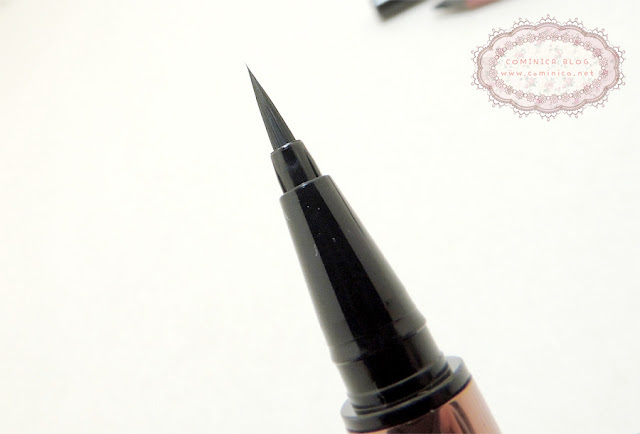 You can find MSH Love Liner Liquid Eyeliner at BlingAlwayz. Their store is based on Singapore, so hurry contact them if you want to try this eyeliner too~! Many people asked me the eyeliner differences. Actually the difference is only the eyeliner itself (gel,liquid/pencil), texture, formula and the staying power. aq mo ty itu eyeliner yg silver di bwh mata km itu pke apa yah? Oh sweetie this eyeliner looks so nice! I never bored read reviews about Japanese products because I love it too. what did you use on your lips?